ClubCoins Tarvita: 18 Please note that, for now, you cannot download content from our platform directly onto a mobile device (phone, iPod, iPad, tablets...). You need to download your items onto a PC or Mac, and then transfer them onto your device in the normal way. We are working on allowing direct downloads to mobile devices but this is not possible in the current version of the platform. Sorry about the inconvenience! Yee-ha! The Bear family is flying over rivers and mountains to get to Uncle Tex's ranch. There is so much to see! 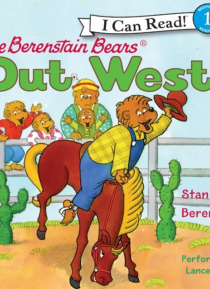 Uncle Tex and Aunt Min have plenty of ways to share the fun of the West with the Bear family.